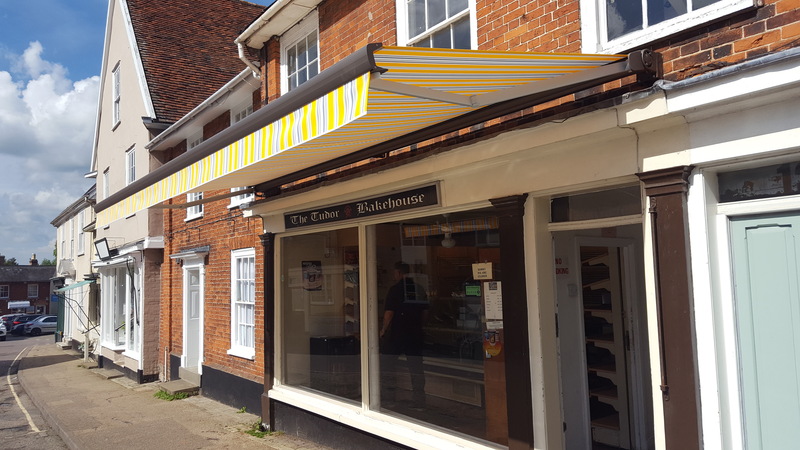 Our patio awnings are constructed from polyester powdercoated, corrosion resistant, extruded aluminium frameworks and stainless steel components for durability and longevity. Galvanised steel fabric barrels with pvc coated support profiles do not warp or deflect ensuring the fabric always rolls correctly. Heavy duty twin spring arms tensioned via tear resistant stainless steel cables keep the fabric taut at every position whilst full cassette casings protect the fabric and operating mechanism from all types of inclement weather when the awning is retracted. 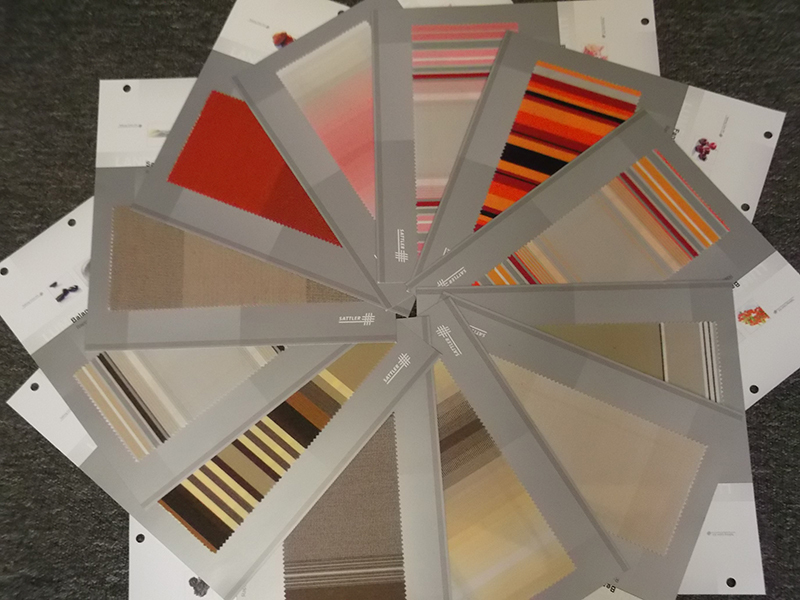 Our patio awnings are available in an extensive range of fabrics which are created from 100% solution dyed acrylic fibres, woven using the strongest warp/weft construction ensuring they hold their shape and colour for the life of the awning. Choose from an array of vibrant, pastel and neutral colours. 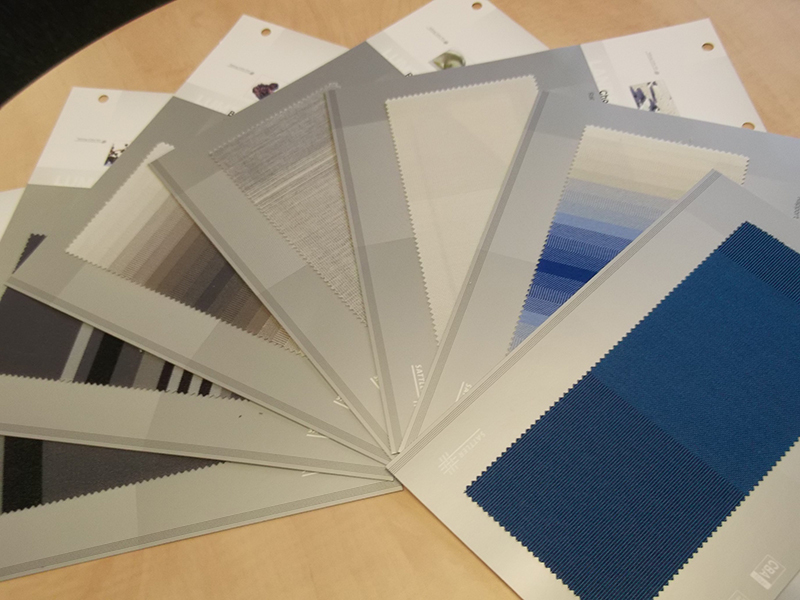 All our fabrics feature a TEXgard easy clean coating which is water repellent and prevents dirt from clinging to the surface allowing rain water to easily wash it off. Protection is also offered against all environmental influences including mould, algae and fungae growth. Integral radio controlled motors built within the fabric barrel function effortlessly via hand held or wall mounted transmitters for convenient operation. 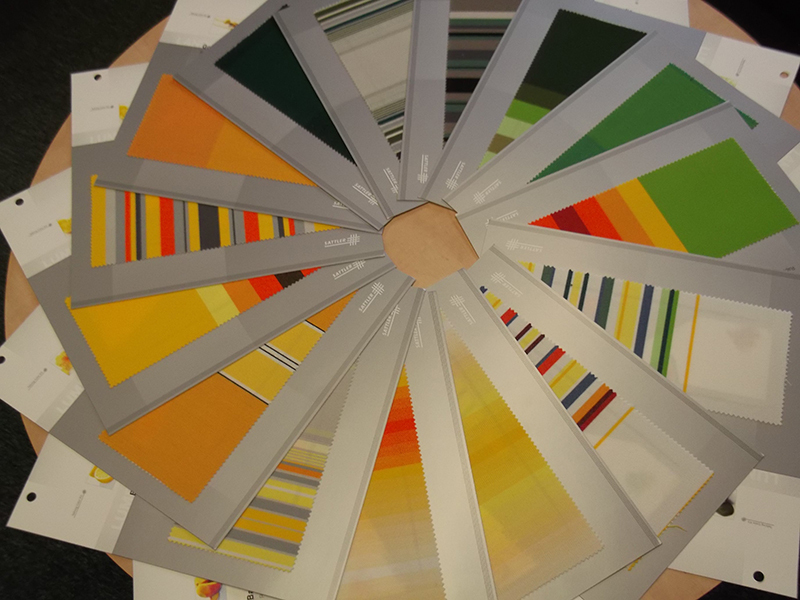 Optional sensors including light and wind allow our awnings to think for themselves, positioning automatically based on the ambient conditions. 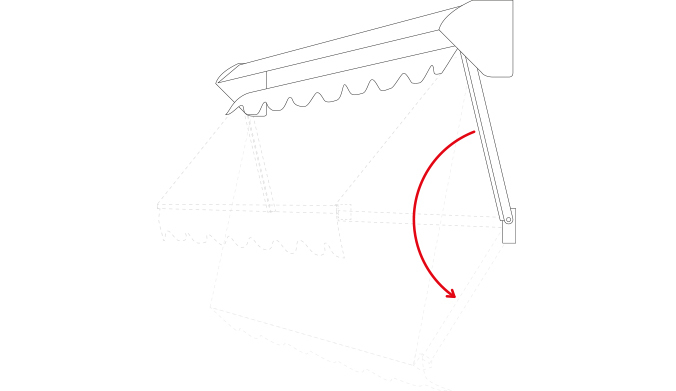 For smaller sized awning manual operation through a smooth gear box and detachable crank handle is available. Optional accessories including under awning lighting and side screens allow our awnings to become an all year round solution that can be used come rain or shine, day or night. 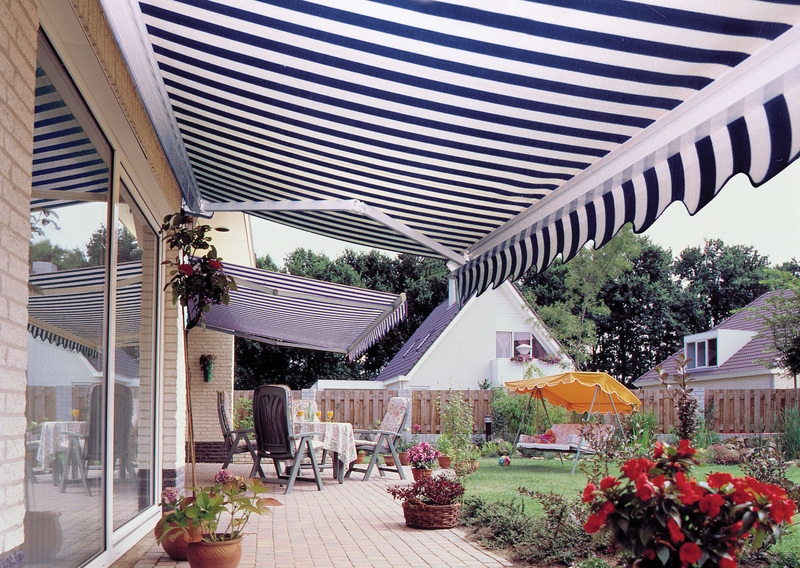 Awnings are the perfect accompliment to your home. 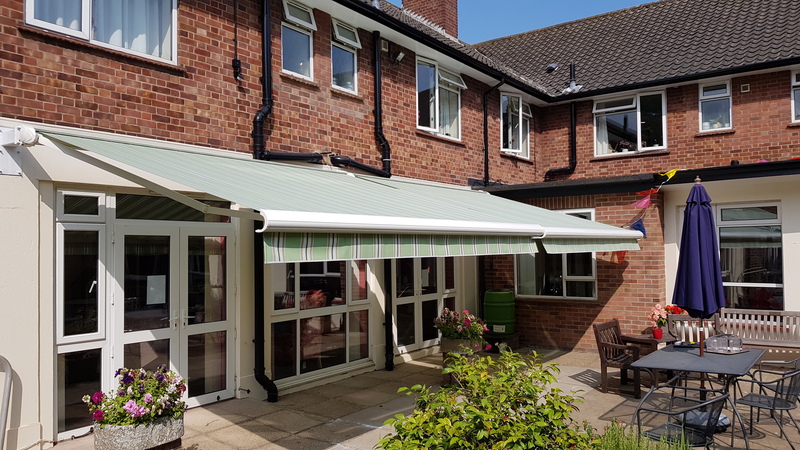 Adding style and colour to your home, awnings give you the perfect shade during the long summer evenings and protection form the sun during those hot summer days. 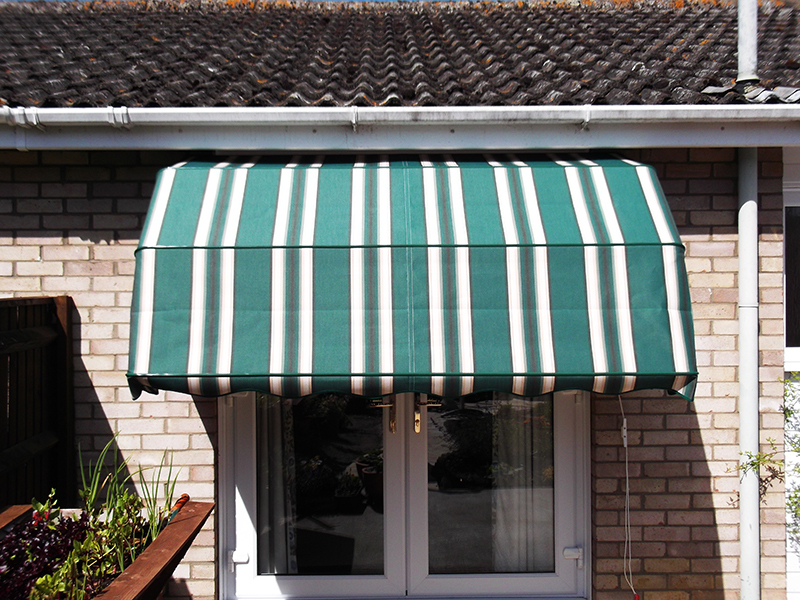 Awnings do come in standard sizes or can be custom made to fit your specific need and application. Awnings are commonly used over windows and doorways as well as providing shade over patios and decks. A fabric awning is an architectural fabric projection that provides weather protection, identity or decoration and is wholly supported by the building to which it is attached. An awning is comprised of a lightweight frame structure over which a cover is attached. 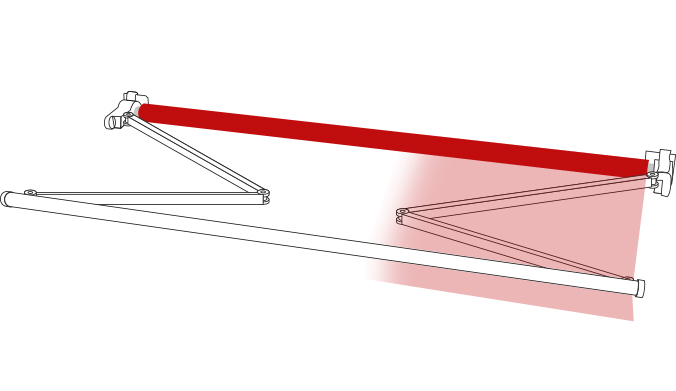 A canopy is also supported by the building to which it is attached but includes at least one or more stanchions that support the outer end. There are two types of awnings - retractable and stationary. 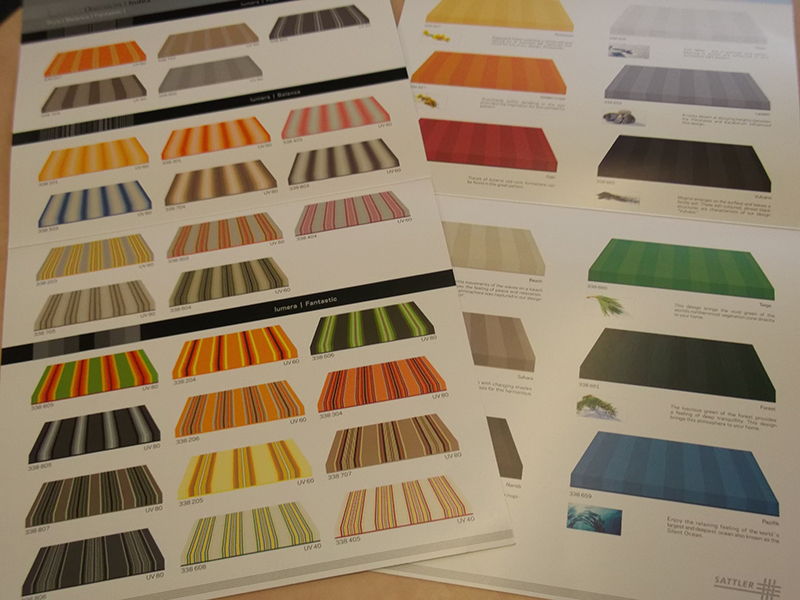 Retractable awnings – a variety of great features! With the push of a button, a retractable awning can create an instantly cool and relaxing haven from the sun's rays. In addition, retractables are extremely user-friendly. Depending on your budget and need, select manual or automatic, remote or sensor-activated controls that allow awnings to be easily opened and closed from inside and outside. Sensor-controlled awnings feature wind and sun sensors that will automatically retract or extend the awning - even when nobody is home. 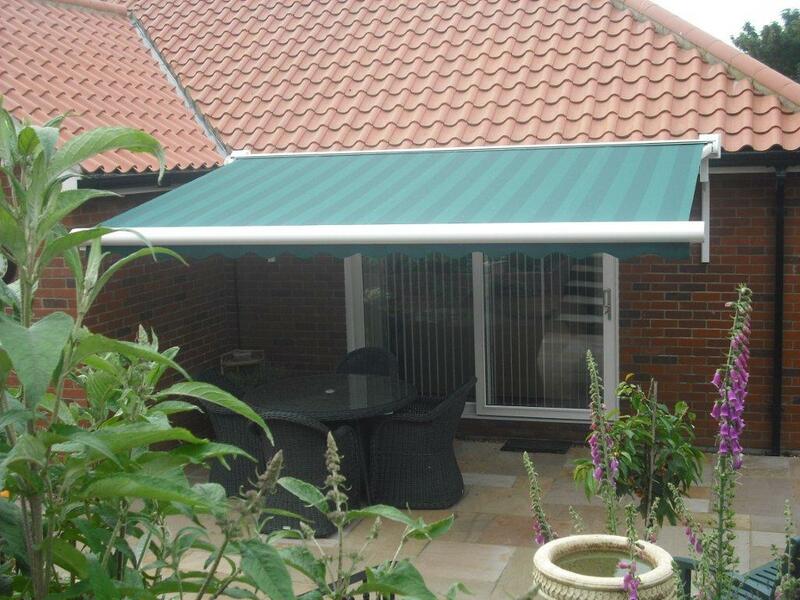 Typically awnings are available in either drop arm or folding arm. Drop arms are typically used for windows and folding arms for larger areas like a patio. Fixed frame awnings are a popular choice for homeowners because they can be custom fit to your home's outdoor space. Ideal for odd shapes, bump outs, and window sizes - custom designed stationary awnings give homeowners great creativity in style, size and shape. Stationary awnings are ideal for home entryways and windows, balconies and car ports. They require less maintenance than retractable awning because there are no moving parts. 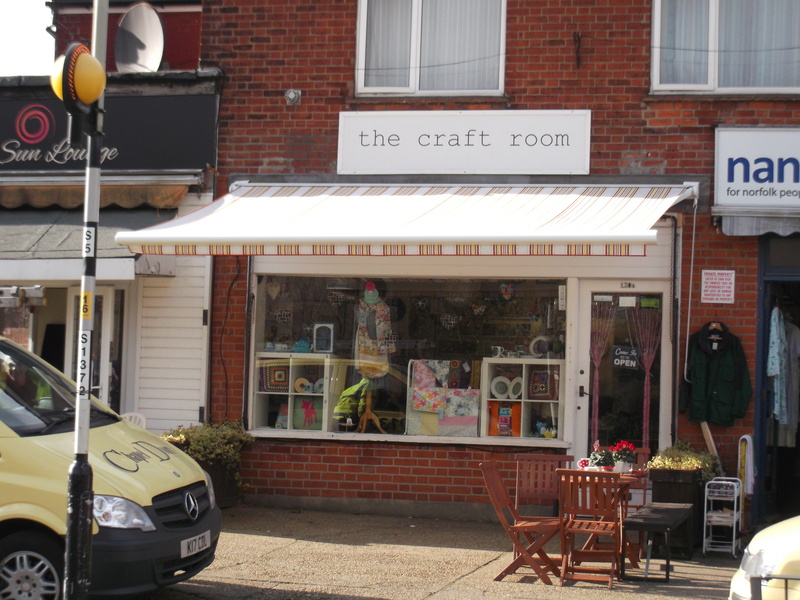 A fabric awning can directly affect energy use by simply blocking the sun. Heat gain through windows is one of the reasons that buildings need air conditioners. In some climates, homeowners can expect to save up to 25% of your cooling energy just by using an awning. Consider a canopy or awning over decks and patios. Both offer a long-term solution to needed space at a lower cost. Your deck will be shaded from the hot sunrays and, depending on the awning fabric, provide outdoor protection on a rainy day. 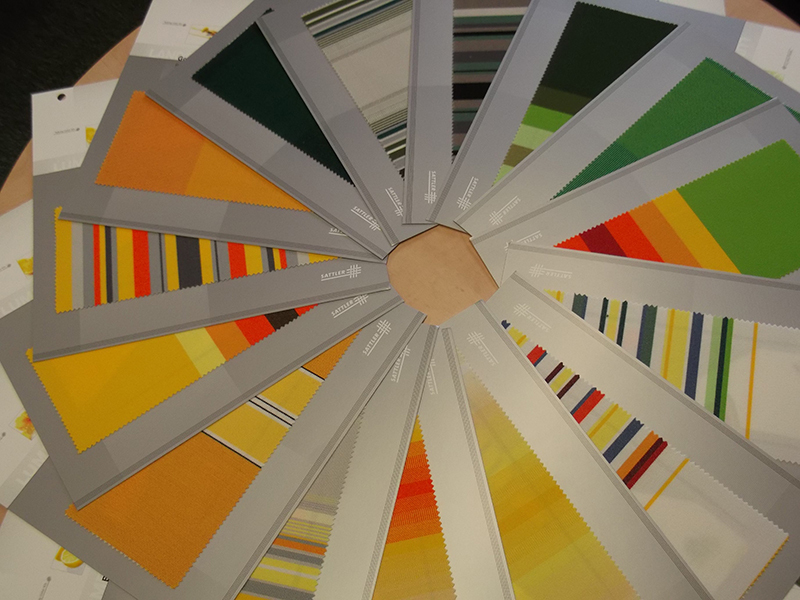 Beautiful fabrics up your backyard appeal - blend your indoors and outdoorsDecorative colors and designs in easy-to-maintain fabrics give you the ability to coordinate your furniture and your awning with your indoor decor. 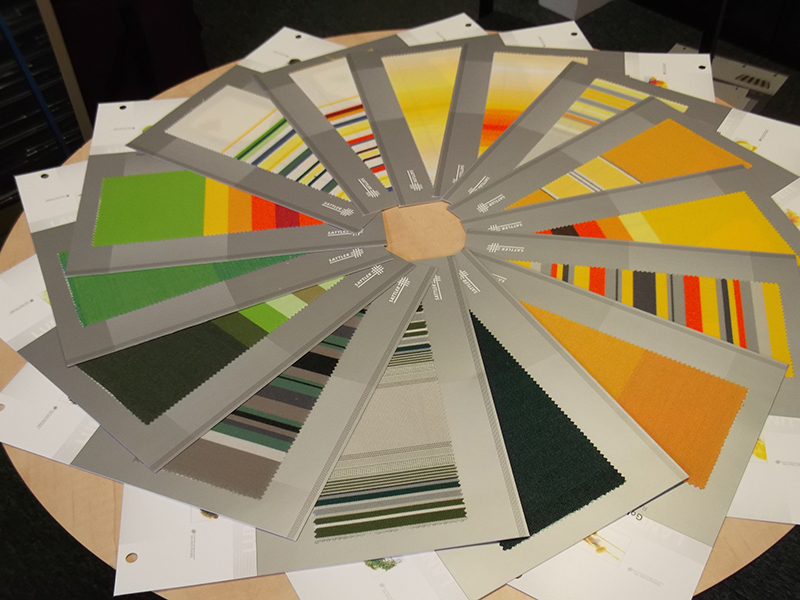 These durable fabrics withstand the elements providing utility and beauty to your outdoor space for many years. Provide weather protection for your family. Your family deserves the best. Their health is your number one priority. Protect them and enjoy the outdoors at the same time with a beautiful, easy, home enhancement - an awning for your deck or patio.